Price includes: One Elite style stainless medical id tag with etched engraving and interchangeable beaded strand, two lobster clasps. Sizing: Take a snug wrist measurement, (no wiggle room) and add one inch. 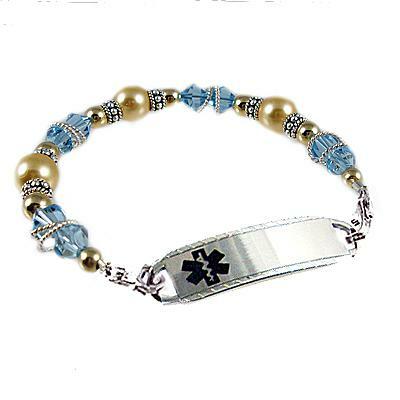 Measure carefully as Creative Medical ID bracelets fit different than a regular bracelet. Wrist Measurement + 1 Inch = Correct Bracelet Size.